I have said this at several for a and I reiterate that at this time there is a genuine fear that the lack of leadership in J & K has created an abyss that has caused an unredeemable political bankruptcy in the State, and regional aspirations continue to be asphyxiated by the politics of the Indian and Pakistani nation-states. 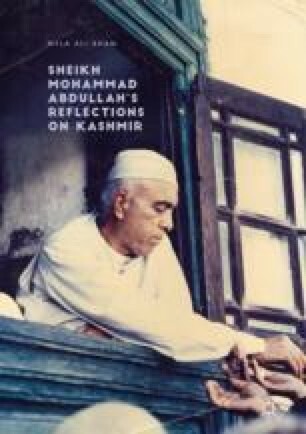 I have been distressingly aware of the atrocities inevitably inflicted on idealism, particularly by nation-states that, by their nature, do not brook opposition, which I concretized in The Life of a Kashmiri Woman. As Kashmir has been witnessing for a long time, structures of governance might change, legal discourse might change, but it is armed might that bestows authority on nation-states, giving them the legitimacy to wage wars and to annihilate peoples in the wake of those wars.